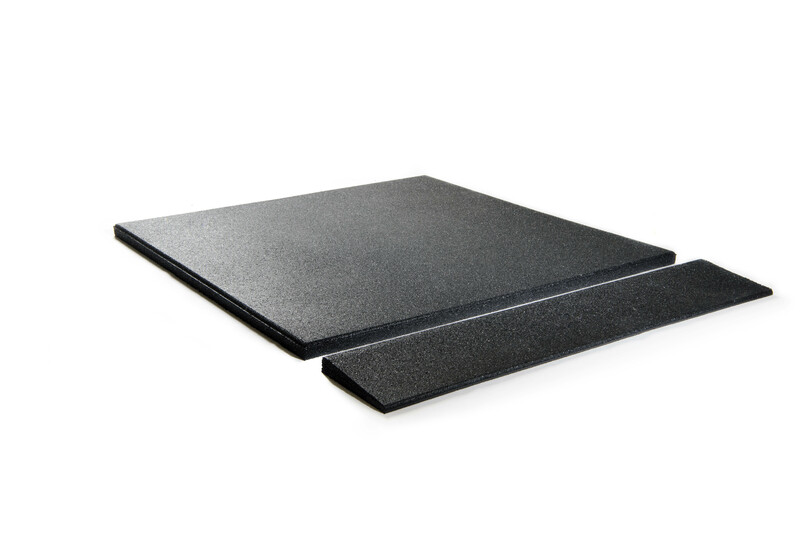 The Granuflex 20mm Thick Rubber Tiles are not only tough, but also mutes the sound. 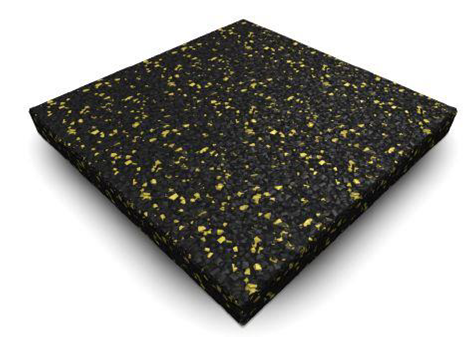 An attractive looking floor is a must have for any gym, these tiles are black with coloured EPDM speckles through them – you have the choice between blue, yellow or grey speckles. These recyclable, environmentally friendly fitness tiles from Granuflex are specially designed for the professional market. These Fitness tiles not only make a beautiful looking floor but also reduce noise and vibrations in your gym. 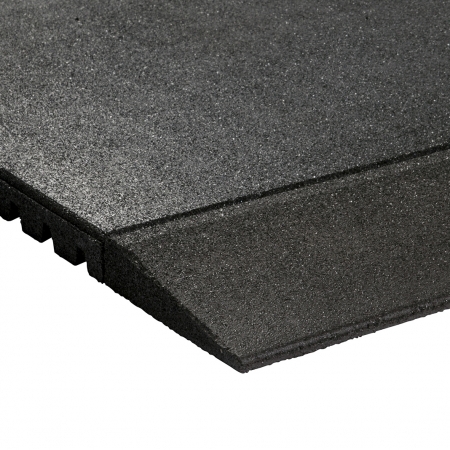 Granuflex has a wide range of products and all excel in wear-resistant, shock and sound absorbing properties. 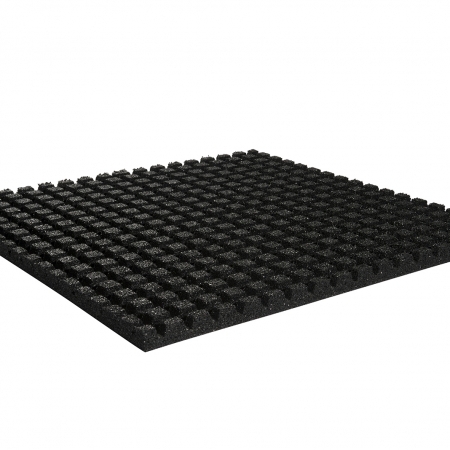 PRODUCT DESCRIPTION Floor tile, developed for fitness use. Product contains SBR granulate (made from recycled European car tyres) and 10% EPDM, temperature bonded with high quality PU-binder. The tiles are flat on both sides. BEHAVIOUR TO FIRE Class E – S2, following EN13501-1, do not expose to open fire and/or higher temperature then 200⁰C.